As a car service workshop with long experience in the industry, Fineline Automotive Services carries out fixed price car maintenance and service for a wide range of car models. Comprehensive mechanical car inspection with over 30 points checked. All car manufacturers recommend a regular car service – at least twice a year i.e. every 6 months or every 10 000 km. A regular car service will ensure that your car is safe, running great and can also help in reducing your petrol bill. We highly recommend to our clients to perform vehicle inspections regularly, because it will help discover potential problems with your car much sooner, reducing the chances for a small problem to turn into a major & costly mechanical repair. Fineline Automotive Services are specialized in servicing all vehicle models, performing log book servicing, brake pad service, fuel injection service, pre-purchase vehicle inspection, roadworthy inspection, and many more services. We are proudly VACC accredited, we are authorized to perform roadworthy inspections & issue the roadworthy certificate and to perform all types of LPG car repairs. All these services are performed by our qualified professional team carrying out the checks & repairs using the latest technology and equipment. As our client, you can enjoy the benefit of dyno tuning, digital computer tuning and diagnosing all engine and overall car problems. We are committed to our clients and we always stand behind our performed services. We are here to help you with any possible problem, and as we said above it is essential to maintain and service your car on a regular basis. Don’t wait for a problem to pop up and after that take your car to a car service workshop. 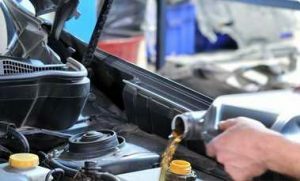 Be a reasonable driver and take your car regularly for car servicing, because this is essential for discovering big, small or even unnoticed problems. Why not avoid large costs such as engine replacement & major faults by getting a regular car inspection? Before going on long road trips, or at least once a month in-between car services, check the tire pressure & the water and oil levels. Contact or visit us and rely on a professional team offering extraordinary car service.